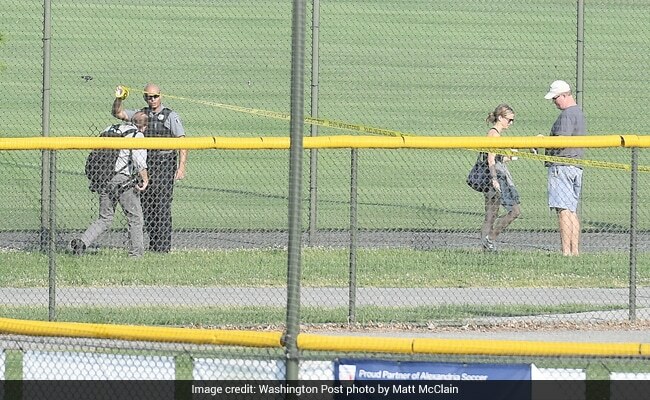 A man unleashed a barrage of gunfire Wednesday at a park in Alexandria, Virginia, as Republican members of Congress held a morning baseball practice, wounding five people, including House Majority Whip Steve Scalise, La. President Donald Trump said the gunman - identified by multiple law enforcement officials as James T. Hodgkinson III, 66, from Illinois - died after a shootout with police, two of whom were wounded in the gun battle. Scalise was critically injured and remained in critical condition as of Wednesday afternoon, according to MedStar Washington Hospital Center. The wounded also include a congressional aide, a lobbyist and two Capitol Police officers. As people offered prayers for the victims, a profile began to emerge of Hodgkinson, a onetime home inspector. A Facebook page believed to be his includes pictures of 2016 Democratic presidential candidate Bernie Sanders and rhetoric against Trump, including a post that reads: "Trump is a Traitor. Trump Has Destroyed Our Democracy. It's Time to Destroy Trump & Co."
In remarks made from the White House shortly before noon, Trump called for unity and commended the injured officers. Trump said he spoke with Scalise's wife and offered his full support to the congressman's family. He called Scalise a friend, patriot and fighter, and thanked the first responders who aided those on the field that morning. The incident unfolded shortly after 7 a.m. during the final practice before Thursday night's scheduled charity game between Republicans and Democrats at Nationals Park. Players and bystanders described a horrific and prolonged attack in which wounded police officers returned fire, and Scalise, felled by a bullet to his hip, crawled across the field to get out of harm's way. Scalise's office said the congressman underwent surgery at MedStar Washington Hospital Center, in the District. Zach Barth, a legislative correspondent for Rep. Roger Williams, R-Texas, was shot but is expected to make a full recovery. Matt Mika, a lobbyist for Tyson Foods, was taken to a hospital in unknown condition, a company spokesman said. 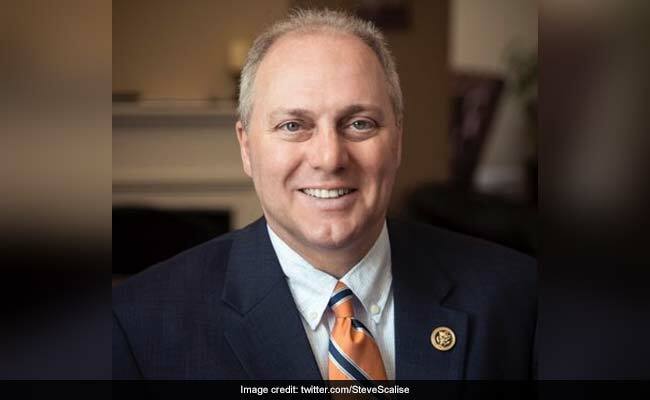 House Majority Whip Steve Scalise was shot in the hip. Capitol Police Chief Matthew Verderosa said his two wounded officers are in good condition and do not have life-threatening injuries. House Speaker Paul Ryan, R-Wis., identified the officers as special agents David Bailey and Crystal Griner. The FBI is now leading the investigation. Verderosa said that "it's going to take a while to sort through all the details," and Tim Slater of the FBI said that it is "too early to tell whether anyone was targeted. . . . It's really raw now. We're exploring all angles." But Hodgkinson's political statements were immediately examined as a possible motive. Rep. Jeff Duncan, R-S.C., told reporters that he spoke briefly with a man he thinks was the shooter, and that he "asked me if the team practicing was a Democrat or Republican team." Duncan added, "I told him they were Republicans. He said, 'Okay, thanks,' turned around." Sanders, Vt., said Hodgkinson volunteered on his presidential campaign and denounced the shooter's actions. "I am sickened by this despicable act," he said in a statement delivered on the Senate floor. Robert Becker, who served as the Iowa director of Sanders' presidential campaign, said that Hodgkinson had no formal role on the campaign and that he couldn't find anyone who remembered him. "We had approximately 100 paid organizers on staff," Becker said. "He was not one of them." Becker said that before the caucuses, about 10,000 people volunteered for Sanders at various times. Those who frequent the area around the baseball field in Alexandria said Hodgkinson had recently become fixture in neighborhood, reporting he was living out a gym bag and often at the local YMCA a laptop staring out a window in the lobby. The Bureau of Alcohol, Tobacco, Firearms and Explosives said it is conducting emergency traces on one rifle and one handgun. Scalise's office, in a statement, said the congressman was out of surgery by 10:30 a.m. The statement said the whip, before surgery, was in good spirits and speaking to his wife, Jennifer, by phone. "He is grateful for the brave actions of U.S. Capitol Police, first responders, and colleagues," the statement said. Scalise, 51, who has been in Congress since 2008, represents a district that includes some New Orleans suburbs and bayou parishes. Before entering Congress, he was a lawmaker in Louisiana for eight years. Scalise and his wife have two children and live in Jefferson, La. Scalise is the third-highest-ranking House Republican and has a round-the-clock Capitol Police detail. The shooting occurred at Eugene Simpson Stadium Park, on East Monroe Avenue. The popular park - which includes the baseball diamond, soccer fields and a dog park, is in the Del Ray neighborhood, near the Potomac Yard shopping center on Route 1 and Old Town Alexandria, adjacent to a YMCA and across the street from a CVS and an Aldi grocery store. Rep. Joe Barton, R-Texas, the manager of the GOP baseball team, said there were "dozens, if not hundreds, of shots fired." Members of the team and onlookers took cover in dugouts, got down on the ground or beneath a sport-utility vehicle. In addition to shooting at Scalise, the team's second baseman, the shooter fired Rep. Trent Kelly, R-Miss., the third baseman. Barton described the suspect as a middle-aged man wearing blue jeans and a blue shirt. "I think he was anglo and he had a rifle, and I think he had a semiautomatic pistol," Barton said. "Luckily, no one appeared to be killed," he added. Rep. Mo Brooks, R-Ala., saw the shooter and described the scene as "bedlam." In an interview, Brooks said he heard two or three shots before he realized the danger. He was stepping up to home plate with a bat in his hand. Then he heard a scream from Scalise, whom he saw fall to the ground. Brooks said he ran behind the batting cage and watched Scalise drag himself toward the outfield. Brooks lay down in the dirt behind the batting cage with two or three others, but then realized that if the shooter moved, "he'd have a clear shot." So he ran to the first-basedugout and dove into it. About a dozen people were there, including one of his staff members who had been shot in the leg. Brooks said he took off his belt and applied a tourniquet. Then he saw a man with a gun appear above him and feared it was a second shooter. Instead, it was a Capitol Police officer shooting back. He and another officer moved toward the shooter, who ran toward home plate and was shot down. "They were both wounded," he said. Sen. Jeff Flake, R-Ariz., told reporters that Scalise was awake after the shooting. "He was coherent the whole time," Flake said. He added that a female member of the Capitol Police security detail was airlifted out and that a staff member was taken by ambulance to a hospital. Flake said that it took almost 10 minutes to stop the shooter. Eventually, when the Capitol Police secured the area, Flake grabbed Scalise's phone and called his wife to tell her what happened. "We were doing batting practice near the end of the practice, and all of us were on the field, either in line to bat or fielding balls and all of sudden, we heard just a very loud pop, and it sounded like gunfire. It was just one, then a few seconds later it was a rally [of gunfire]. And it was clear, I just remember seeing, he had a rifle." Flake said the gunman was firing "at anybody he could hit. I don't know if anybody was targeted, but I just remember seeing some of the gravel bounce up as gunfire hit. And so a lot of us went into the dugout, because we thought the gunfire was coming near the third-base dugout, just to get some cover." He said Williams' aide was in right field when he was hit in the leg, and he ran to the dugout. "We had to apply pressure to that wound to try to keep the bleeding down." Flake said that at one point, "I looked up . . . and saw the gunman. He had come around the back, near home plate, and had a clear line of sight into the dugout, and so we had to get down again." He said Scalise dragged himself off the field, leaving a trail of blood. Flake said he didn't hear the gunman say anything. He said one of the security officers used the dugout for cover as he fired at the gunman. Flake said that at first, he didn't know whether the security officer was friend or foe. "And I kept yelling: 'Are you friendly? Are you friendly?' And he yelled back: 'Yes.' And then I could see him come around the dugout, but he was wounded. I'm not sure when he got shot. But he had a wound by his ankle." The congressman also said a second officer was shot, a member of the Capitol Police force. "I saw her afterward, and saw her being taken to the helicopter," Flake said. 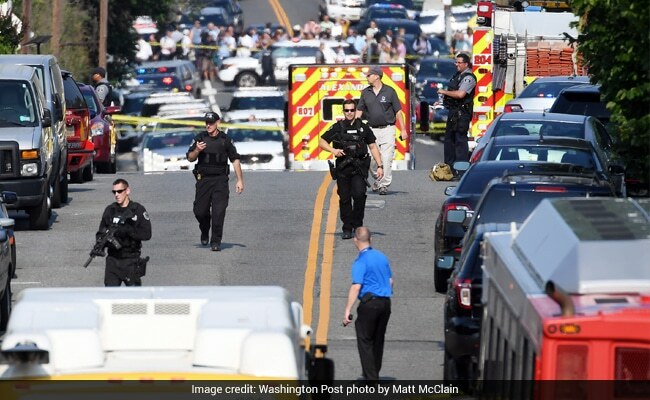 Alexandria resident Owen Britton described the shooter as a middle-aged man, perhaps between 55 and 65 years old, with white facial hair and wearing a blue polo shirt. Britton witnessed the man exchanging fire with police over a black sport-utility vehicle, before the man was apparently shot and then handcuffed while lying on the ground. Katie Fillus of Alexandria had just gotten out of her car to take her dogs to the park when she said she heard "very, very loud popping sounds." "And I knew a baseball team was practicing, and everybody started screaming, 'Hit the ground! Hit the ground!' "
She said she lay flat in the field as the gunshots grew louder - "like he was walking across the field toward all of us, the gunman, and I was screaming: 'Can someone help me? I have my dogs and I can't get behind anything.' "
Fillus said a police officer pulled out a gun and tried to shoot back. She was screaming, " 'Drop your weapon!' And he shot her, and she fell on the ground. "She fell on the ground in front of us, and we were all just trying to lay as flat we could. And I belly-crawled, dragging through the mud. I got to the car and I ducked under the car and I laid as close as I could under the car to hide from the person. Then the police seemed to come." Susanne Stratton, 28, of Alexandria, was playing with her dog in the dog park next to the baseball field when the shooting began. "We heard people yelling to get down. We saw people running, some into the dog park, some jumping over the fence," she said. She said the people in the dog park immediately got down on the ground and pushed their dogs down, as well. She said there was a burst of shots, then a brief pause, then more shots - she estimated about 20. "It must have been a semiautomatic," she said. Reba Winstead, 43, who lives on street adjacent to ballpark, said she heard about 30 shots fired in bursts and saw two people running down her street in exercise clothes. "One of the bullets whizzed down our street. 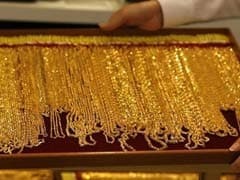 That's when I jumped inside, when I heard the whiz," she said. "It's just scary, because you don't hear shots fired in Alexandria very often." Charles Halloran, who lives about a block from the park, arrived at a YMCA next to the baseball field at 7:30 a.m.
"Bullet holes in the glass and people were shaking," Halloran, a former congressional staff member, said in a telephone interview from inside the facility. Bullets went through the YMCA's building and into the pool. Reports of violence are extremely rare in Del Ray, a quiet, upscale neighborhood known for its shops, art and craftsman-style houses. Rep. Steve King, R-Iowa, in a suit and tie, stopped by the crime scene to pray, and was viscerally angry about his colleagues being attacked. "America has been divided," he said, "and the center of America is disappearing, and the violence is appearing in the streets, and it's coming from the left." King indicated that it was impossible to separate the hyperpartisan climate in Washington - especially people protesting Trump - and Republican members of Congress being gunned down at a baseball practice. "The divisions within the country, people that can't accept the results of the election that are determined to try to take this country down, take this organization down," King said. "This city was filled up with demonstrations the day after the inauguration, where you couldn't drive down the streets." Brooks said he thinks the shooting was targeted. "I can't imagine him going here for any other reason than to kill as many congressmen as they can," he said. "We understand we're high-profile targets." Speaker Ryan was at the gym on Capitol Hill when he was informed of the shooting, said two GOP lawmakers who saw him there. They said he immediately stopped his workout and headed out, guided by his Capitol Police detail, which is always with him. 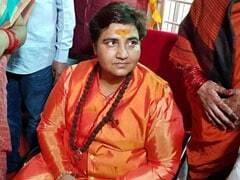 The lawmakers spoke on the condition of anonymity to discuss the speaker's movements. As Ryan left - and Capitol Police briefly told members about the shooting - the gym quickly quieted and members packed up their belongings and headed to their offices, the lawmakers said. "Nobody knew what the hell was going on," one of the Republicans said. "People just left."